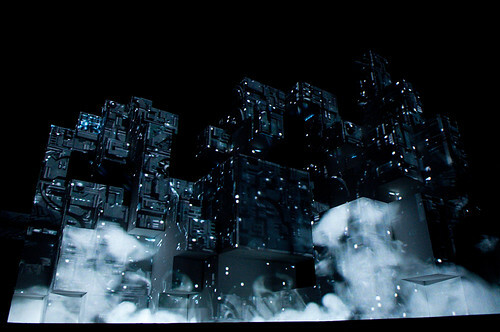 Amon Tobin’s Isam set = breath-taking brilliance. I was only given the opportunity to photograph the first two songs, so my photos don’t really do the whole performance any justice. The range of visuals was truly mindblowing – the entire set deserves to be recording in HD & posted to repeatedly blow our minds. 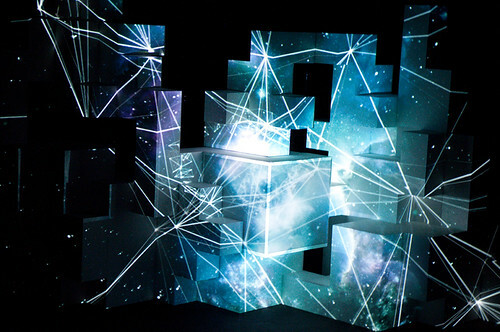 Truly, though, it must be experienced live to be understood. There is no way to describe it in words or pictures. 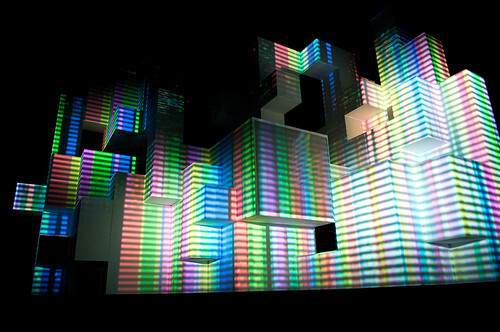 Mind morphing Tetris on acid, but a gentle, forgiving, coaxing video game, not a violent or scary one. 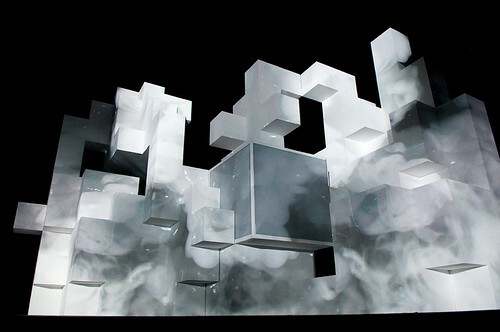 It is so impossible to describe, constantly changing, you’d think you’d run out of ideas of what to project onto the cubes, but it was always something different, at once ice, at once fire, then just when you think you’ve seen in all, the cubes start spinning!! 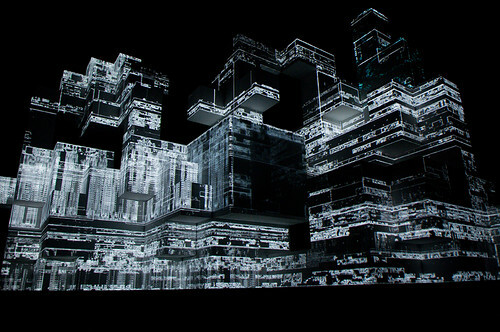 Seriously, any description of Amon Tobin’s ISAM show just sounds like some far-gone hippy who has done WAY too many mushrooms. Do yourself a favour and whip down to Seattle tonight (Sept 29) to catch him there – he’s playing Decibel Fest. 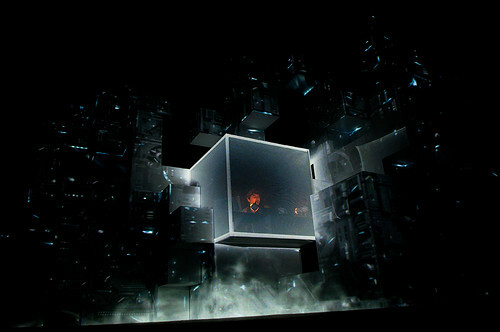 Or else one of his future shows, like San Fran, LA, etc etc http://www.amontobin.com/tour – shows everywhere are selling out, and for good reason! I was on assignment for The Snipe News. See the original post here.